It’s hard not to be envious of Travis Chambers’ resume. Since then, he’s built a new social video agency called Chamber.Media and racked up a consistent portfolio of viral hits. But when it comes to the future of brands and advertising, Chambers isn’t betting on helping brands go viral. Instead, he’s been building a new formula: scalable social videos. He believes this is a much more sustainable strategy, especially as organic reach on Facebook slumps further. In this article, you’ll get an inside look at one of the most creative—and effective—approaches to social videos I’ve seen. Chambers explains how he and his agency build social video funnels and the lessons he’s learned creating videos that have generated over 100 million dollars in sales. But when it comes to the future of social, Chambers is optimistic. Build a social video funnel—Don’t just create one social video or a few pieces of content. Instead, create a sequence of content similar to how marketers build website funnels with a mix of top, mid, and low funnel content that can be segmented to different audiences via remarketing. Break best practices (and know how to sell)—Social gurus will tell you to create short videos and to avoid pitching on social channels. But Chambers’ agency breaks these rules—and has $100 million in trackable sales as a result. Integrate influencers into content—Facebook does not prioritize branded content in the news feed. To gain traction, you need to integrate influencers into your content and distribution strategy. Look beyond Facebook for true ROI—Social media is the heart of digital. But only measuring the specific channel impact of social (such as how many orders were generated by a UTM code) misses the bigger story. To see the true impact, you need to look beyond social as an isolated channel. Combine exceptional creative and world-class optimization—To win at Facebook advertising, you need to invest in exceptional writers and world-class advertising optimization. It’s this marriage of creativity and optimization that gives your brand a sustainable way to increase revenue. Here’s more detail into each of these components. “A lot of companies make really small bets on social. They create a few 15-second Facebook videos. Or boost a bit of content. But this quickly leads to content fatigue,” says Chambers. In a recent campaign, for example, Chambers’ team built a full funnel with more than 50 pieces of social video content. A key part of their process is filming campaigns in a modular way. 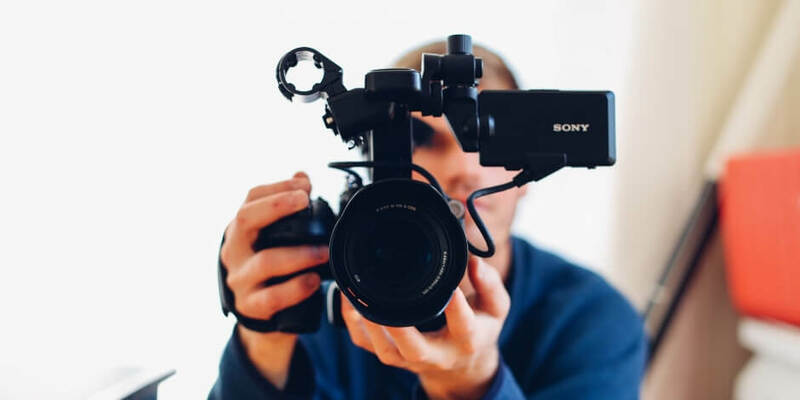 When filming a social video, Chambers’ agency films everything they can think of—including product FAQs, alternative scenes, and even personal messages from stars of the videos—that they can use in later marketing materials. “We’ve even created a ‘thank you’ video from the founder, so video content goes all the way down the funnel. We’ve seen those increase reorder rates,” says Chambers. This approach allows them to adapt content during campaigns. In a recent campaign, for example, a joke landed poorly and was causing negative sentiment for the brand. Because they had built the campaign in a modular format, Chambers’ team was able to remove it quickly and add in a new scene. According to Chambers, there’s a lack of understanding about how brand awareness and direct response marketing—designed to compel a prospect to take a specific action—can work together. On the one side, you have creative philosophers. They don’t believe you should sell on social. But as they only focus on brand content, it’s hard to tie social media activity to ROI. On the other side, you have small businesses. These companies go for the throat with selling, using direct response techniques. But these companies struggle to get placement in the news feed as their content is annoying and quickly fatigues users. Chambers tries to find a middle balance. “We’re using humor but not apologizing that we’re selling you really hard. We use engaging visuals. And we know that the longer we hold your attention, the better chance we have to sell,” says Chambers. Length is another area where Chambers defies conventional best practices. “If people watch three or four videos on Facebook, they are likely to buy. Or at least recommend the product,” he adds. While Facebook prefers to not promote branded content in feeds, there is another route. For example, their massively successful social video for the fitness company NordicTrack was filled with influencers. Influencers have built organic audiences and can get better traction on Facebook than brands. This helps to spread the initial content—traction that paid amplifies even further. Most brands struggle to measure the direct ROI of social. But Chambers doesn’t. His agency has generated $100 million in trackable sales from their social campaigns. “Marketers make the mistake of looking at the Facebook pixel with a microscope,” says Chambers. I asked Chambers if he was worried about the changes to Facebook’s algorithm that were announced at F8—In particular, the move away from passive consumption of media on Facebook and the reprioritizing of more personal content, rather than branded content and broadcast media. It’s this combination of quality writing and creative content that Chambers believes brings both organic and advertising success on Facebook. “People don’t want to see ads. People value really quality writing and amazing content. Facebook and YouTube have been flooded with garbage, annoying ads and dreary ads. And If your ad isn’t good or annoys people, Facebook and YouTube will de-prioritize you. Despite his envious resume and recent inclusion on Forbes 30 Under 30, Travis is an incredibly humble and generous with his knowledge. You can connect with him on LinkedIn, hear his ideas on marketing on his podcast, “How I Sold Your Attention,” and learn more about his agency by visiting Chamber.Media. You might not be a master of social and paid like Travis. But Hootsuite’s new boost feature makes it easy to target audiences, automate boring ad management tasks, and help your content reach a broader audience with paid.